We recently shared a few pork recipes (pressure cooker bbq pulled pork and slow cooker honey & beer pulled pork), and we got our pressure cooker back out to cook some tasty pork ribs. Using NI pork ribs from our local butchers, we created a dry rub mix for the ribs and got down to business. 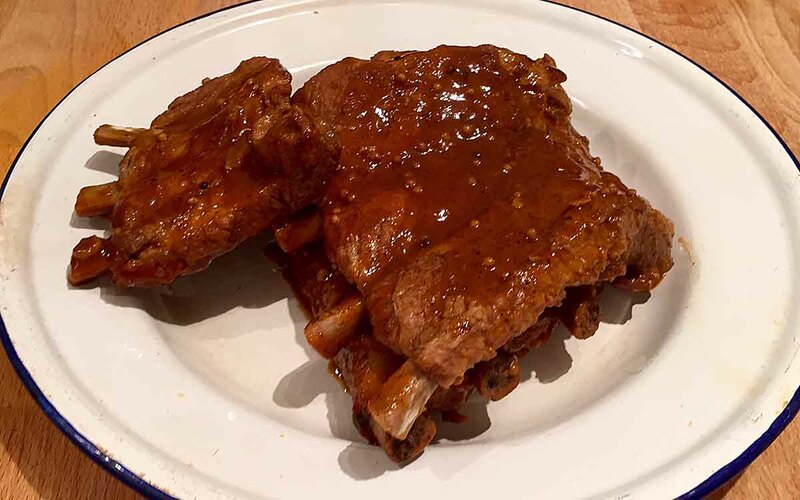 Ribs are a favourite of ours, and when your eating them in your own home it’s a case of “more please”, and plenty of sauce. 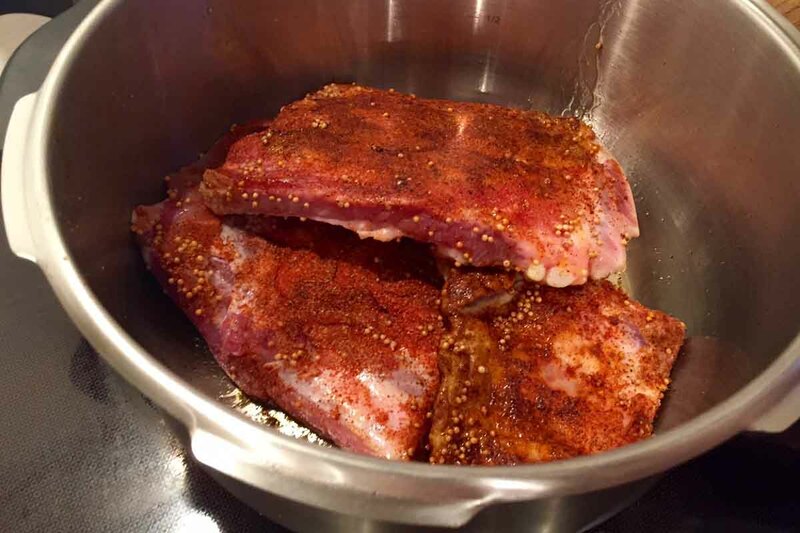 Follow our step by step guide to these tasty BBQ pork ribs below. We’ve even included an easy to follow video for you at the end. 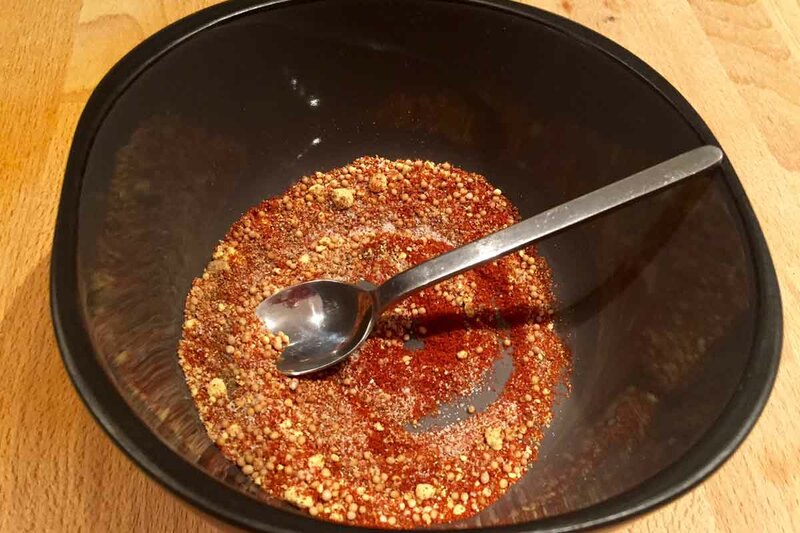 Mix the sweet paprika, onion salt, mustard seeds, mustard powder and black pepper into a bowl. Pat dry the pork ribs with kitchen paper and remove any excess fat (you can ask your butcher to do this when buying). Rub the mix onto the ribs ensuring you cover all of the meat on both sides. Add a little sunflower oil to the pressure cooker and place on the hob over a medium heat. 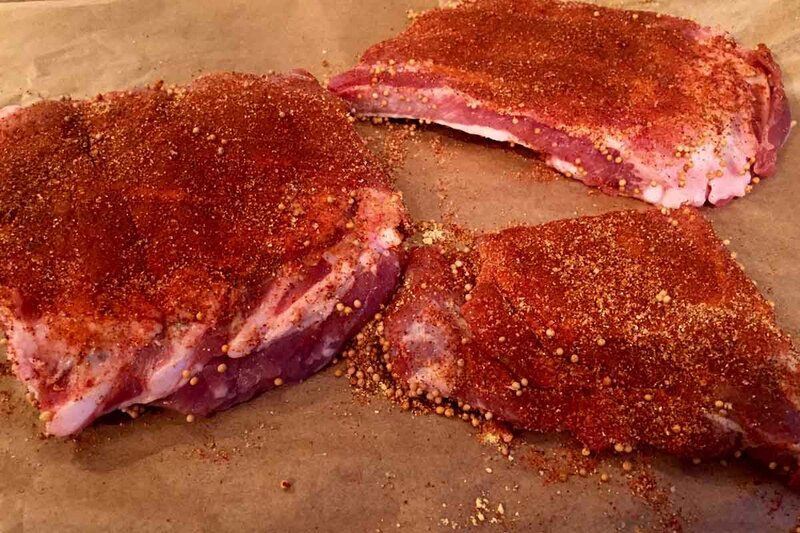 Add the pork ribs and gently brown on both sides, making sure you don’t burn the spice mix. Once browned, add the ketchup, Worcester sauce, cider vinegar, brown sugar, tomato purée and water, and mix. Tip in any excess dry rub for added flavour. Put the pressure cooker lid on and seal. Set the pressure cooker to high and cook over a medium to high heat for 20-25 minutes. Release the pressure from the pressure cooker and remove the lid – be very careful as the steam is scalding hot. If the sauce needs thickening, simmer over a low heat for a few minutes until the sauce becomes sticky and glossy. Remove the ribs and cover with the thickened BBQ sauce from the pressure cooker. Serve and enjoy. Tip: For added flavour you can place the ribs under a medium grill for a few minutes to caramelise them. BBQ pork ribs are a hit throughout the year and perfect for the summer BBQs and parties. This recipe will save you so much time as the pressure cooker does the hard work for you. Don’t forget to follow us on Facebook, Twitter and Instagram, and follow our recipe and travel videos over on our YouTube channel (subscribe to keep up to date with our videos). We’re also on Snapchat now so be sure to follow us on @pikalilyblog. If you’re a fan of pork dishes, check out the NI Pork Facebook page for some great local recipes.